Connecting Rackspace Cloud Server From Mac OS X Using iTerm is quite easy as Mac OS X is based on UNIX. Many users do not know about the best Free app iTerm. For Connecting Cloud Server From Windows PC, we can use a terminal emulator named PuTTY. 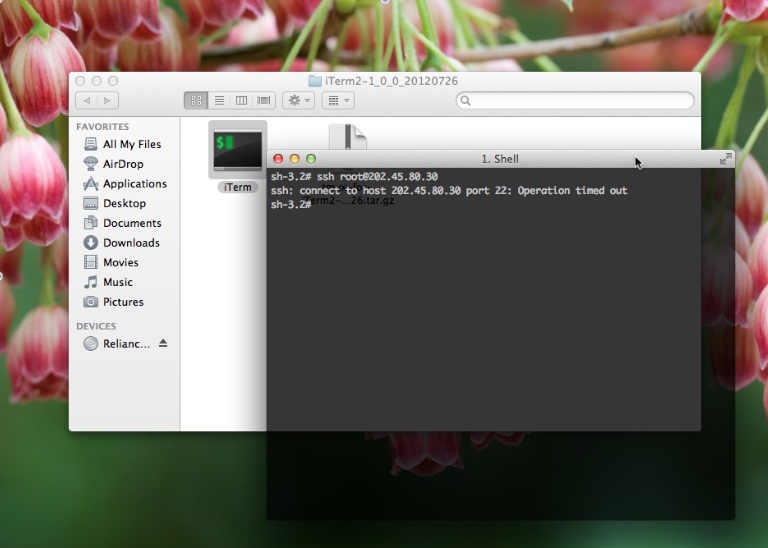 Definitely you can use Terminal for Connecting Rackspace Cloud Server From Mac OS X. In this article on Connecting Rackspace Cloud Server From Mac OS X Using iTerm, we are using the name iTerm and iTerm as if they are the same to avoid confusion. Apart from getting the idea on how to follow a smooth way for Connecting Rackspace Cloud Server From Mac OS X Using iTerm, you will get some guide to visually decorate or customize iTerm. Uncompress it and run it by double click. It will run without getting installed. After running iTerm2, your mind will automatically say to customize it. That is a separate chapter and we will write in a detailed article. Just know the basics of using iTerm2 for Connecting Rackspace Cloud Server From Mac OS X Using iTerm2. Change IPaddress to the real one of yours. It will ask for the password and then ask to store a RSA key if you are Connecting Rackspace Cloud Server From Mac OS X for the first time. Accept it, and then the commands are universal for PuTTY, Terminal of Ubuntu or Mac. This Article Has Been Shared 5785 Times! ??? ?? ?????. ???? ????? ????? ??? ???? ? Cite this article as: Abhishek Ghosh, "Connecting Cloud Server From Mac OS X Using iTerm," in The Customize Windows, November 20, 2012, April 20, 2019, https://thecustomizewindows.com/2012/11/connecting-cloud-server-from-mac-os-x-using-iterm/.